Delaware County voter turnout was heavy and proved to be a great night for Republican candidates. Tony Skinner defeated Ray Dudley by over 2100 votes! Emotions ran high at the Knights of Columbus where we gathered to await the election results. 15 months of hard work paid off! 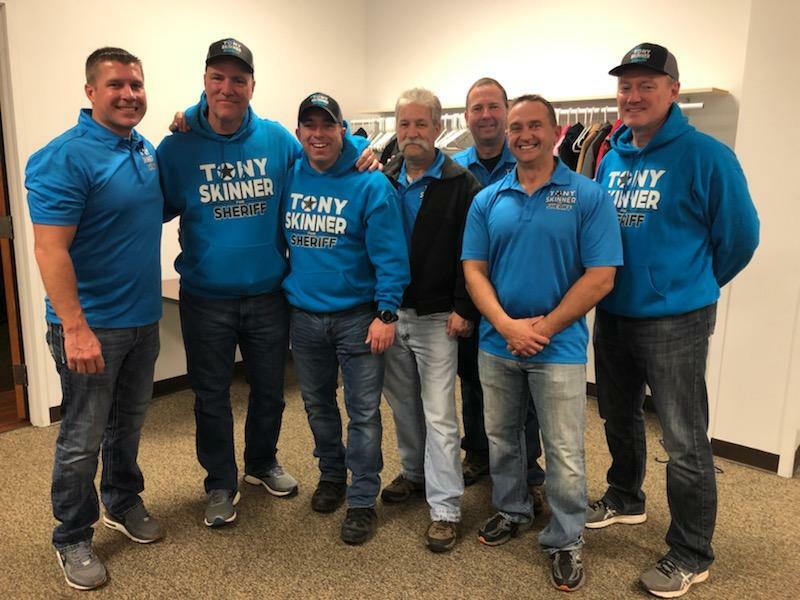 The men shown above with Tony are all Delaware County Sheriff Deputies that openly supported Tony throughout his campaign. When you are running against your administration, this is never a favorable position to be in. These men, myself included, wanted to be part of returning our department back to a professional organization and not influenced by political motivations. Four of these men are full-time merit deputies and the other 2 are reserve deputies with the department. The two reserve deputies are an airline pilot with UPS and an anesthesiologist with IU Health. 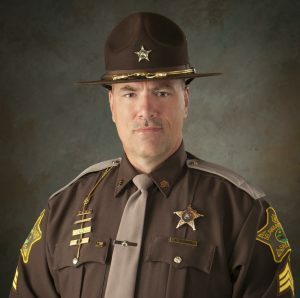 Professionals in their field whose only goal was to see the right man for Sheriff elected in Delaware County. We truly gave so much to this campaign. We couldn’t be happier with the results! Thank you to everyone that contributed to this campaign. From attending parades, walking neighborhoods, and donating your time or money. Email requests were always answered and our volunteers were always great to work with. Our supporters did a great job representing Tony in the community. We couldn’t have done it without all of you. I would like to give special recognition to Matt Howell of Farmhouse Creative. He created this website for us and he was always there for us when we needed his help. Thanks Matt! We look forward to our next election campaign in 4 years. I have no doubt it will be just as fun as this past campaign and I look forward to the future of the Delaware County Sheriff’s office under Tony Skinner. God Bless!